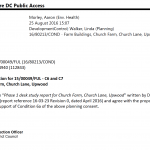 Given the sensitive nature of the development (residential) and the history of the site, a contaminated land planning condition was attached to the decision notice for the proposed development. The first stage of discharging the condition was to prepare a Phase I desk study report in order to determine if the site has the potential to be impacted by elevated levels of contamination, and to determine the source as well as the likelihood of the risk occurring. 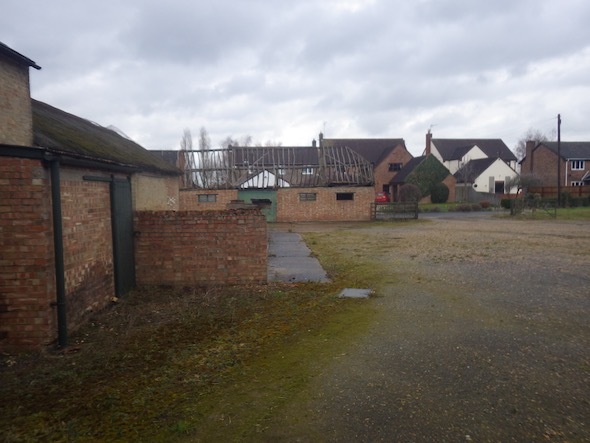 The first stage was to determine the history of the site and its surrounds by reviewing Ordnance Survey maps, aerial plates and street level imagery. The O.S. maps revealed that the site was developed prior to the first edition (1887) O.S. map and the site formed part of a farmyard. The first large scale map revealed two ponds on the southern area of the site, which were in-filled in the 1960’s, the eastern area of the site was developed around the same time and a number of buildings had been erected. 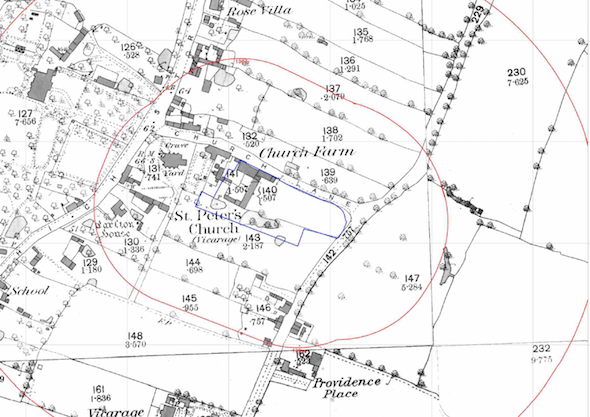 The O.S maps revealed a number of in-filled ponds in close proximity to the site as well as a graveyard. The sensitivity of the groundwater and surface water receptors were assessed using the geological maps published by the BGS as well as data provided by the Environment Agency, which determined that all receptors were of low sensitivity and further assessment was not warranted. 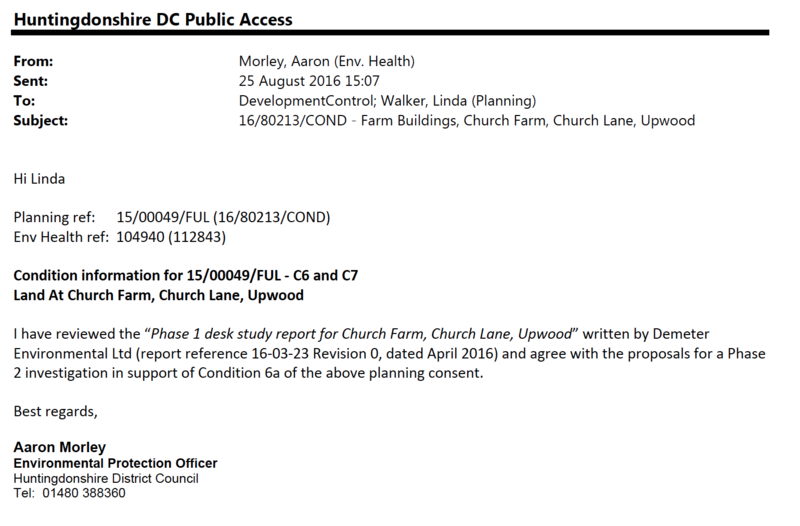 Off site potential sources of contamination (including landfills) were researched using data provide by both the Environment Agency and Groundsure, no further off site potential sources were identified. 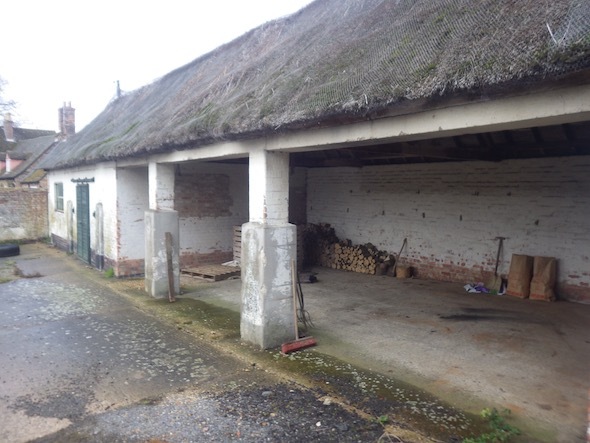 On completion of the desk based assessment a site reconnaissance visit was undertaken, six agricultural buildings were identified on the site, concrete hard-standing and a landscaped area. Cement sheeting was identified on the site and as there was no evidence of damage, was discounted as a credible source. A quantitative risk assessment was undertaken and the made ground identified on the site and the in-filled ponds on the site were regarded as credible potential sources of contamination. It was concluded that an intrusive site investigation to assess the risks posed by the made ground and the material in the in-filled pond was required. It was concluded that the risks from ground gases was sufficiently low as for gas protection measures to be a suitable alternative to ground gas monitoring. The contaminated land planning condition was discharged as part of 16/80213/COND , the memo accepting the recommendations of the report can be accessed via the application.